This week on ROH TV, Flip Gordon looks to prove himself against Jay Lethal in singles action. ROH Six Man Tag Team Champions The Bullet Club defend against SoCal Uncensored in the main event. The show opens with SoCal Uncensored cutting a promo on the Bullet Club and how they lost to them recently on television. Now, they get a shot at the Six Man Tag Team Championships. Christopher Daniels says that the end is near. Bullet Club cut a promo about the title defense and they say tonight it is time for them to get some revenge. Adam Page is going to break all their backs while the Young Bucks try to calm down Page. They tune down the intensity because Matt’s kids watch the show and Page calms down. Opening Contest: Jay Lethal vs. Flip Gordon: Lethal starts the match shoulder blocking Gordon but Gordon somersaults over Lethal on the mat. They counter each other for a moment and both get a near fall. Lethal tries for a cutter but Gordon does a handstand to avoid the move. We go to commercial. Gordon works over Lethal with forearms and chops to drop Lethal in the corner. Gordon runs into the corner to dropkick Lethal twice. Gordon misses a splash in the corner but lands on his feet. Lethal decks Gordon with a forearm as Flip avoided a dropkick after a hip toss. Lethal continues to work over Gordon in the corner with strikes and stomps. Lethal goes for a cover after sending Gordon into the corner managing to get a near fall. Gordon nails Lethal with a kick to knock Lethal to the floor. Gordon takes Lethal out with a suicide dive. Lethal gets back into the ring to deliver a big boot and Flip rolls to the floor. Lethal proceeds to hit a suicide dive of his own. Lethal runs into a superkick and goes to the floor again. Gordon misses a suicide dive and Lethal misses too. Gordon kicks Lethal off the apron and takes Lethal out with a twisting dive to the floor as we go to a second commercial. Colt Cabana meets up with Jay Lethal to tell him that officially at ROH 16h Anniversary Show Jay Lethal will challenge ROH World Champion Dalton Castle. Marty Scurll is pissed about this and comes out saying he hasn’t gotten a title shot. Lethal reminds Scurll that he beat him at Final Battle. Scurll wants to be Lethal’s first challenge if Lethal can beat Castle. Lethal asks the crowd and accepts the offer, if it were to happen. We hear from Brandi Rhodes who considers herself the underdog in this tournament. She’s been getting better and better after every match. Karen Q shares some comments putting herself over. Brandi has a lot of respect for Karen Q. Brandi thinks that Karen was trying to prevent Brandi from winning her qualifier. Brandi loves a good cinderella story. Second Contest: Karen Q vs. Brandi Rhodes in a WOH Title Tournament Match: Karen attacks Brandi during her entrance and Brandi hits her face on the top turnbuckle as she was standing on the middle rope. Brandi armdrags Karen out of the corner to get control of the match. Brandi continues to work over Karen with kicks and a dropkick. Karen drives Brandi face first into the middle turnbuckle and stomps away on Brandi. Karen chokes Brandi in the corner to keep control of the match. Karen delivers a back handspring forearm and a running kick to drop Brandi. Karen tosses Brandi with an exploder suplex as we go to a commercial break. ROH World Champion Dalton Castle is cutting a promo but Marty Scurll enters the scene and wants to see if he can get a title opportunity. Scurll recalls when he made his debut and he pinned Castle. Castle remembers the match that Marty is referencing. Scurll would like to be considered for a title shot should Castle get pass Lethal at the Anniversary Show. Scurll just wants Castle to think about it. Page forearms Daniels but Kazarian delivers a jawbreaker. Page big boots Sky coming off the top rope in midair. Page and Sky go to the floor where Daniels tries to cheap shot Page is met with right hands. Daniels holds Page for Kazarian, but Kazarian accidentally clotheslines Daniels. Page clotheslines Kazarian, as well. Sky hits a slingshot dropkick to the floor to knock Page down on the floor. Kazarian clotheslines Page on the floor while Sky is distracting the referee and the Bucks. Sky boot scrapes Page before tagging in Daniels to keep control of the match. Kazarian chokes Page over the middle rope as we go to a commercial break. Kazarian sends Page to the corner but Page fights back with strikes and superkicks Sky on the floor. Page boots Kazarian but misses a slingshot somersault lariat. Page and Kazarian collide on clothesline attempts. Page kicks Daniels down and the Bucks get tagged in to clean house with clotheslines. Nick dropkicks Sky and Daniels after being lifted into the air. Sky and Daniels are met with stereo superkicks. Nick hits a crossbody off the top rope and Kazarian is kicked off the apron. Bucks have Daniels connecting with a buckle bomb/kick combo in the corner. Nick comes off the top hitting a splash while Matt hit a standing moonsault on Daniels for a near fall. Bucks try for a Meltzer Driver but Kazarian hits Nick with an ace crusher. Matt superkicks Kazarian and Daniels but Sky kicks Matt to the floor. Sky takes the Bucks out with a dive. Page takes everyone out with a top rope moonsault to the floor. Matt and Daniels are in the ring with Matt attempting a superkick but Daniels counters trying for Angels Wings. Matt counters with a hurricanrana and superkicks Kazarian. Matt locks in the Sharpshooter on Daniels but can’t get a submission. Nick hits a slingshot face buster on Daniels but Kazarian pulls the referee out of the ring. Daniels is tapping but the referee doesn’t see it. Nick takes Kazarian out with a dive to the floor. Sky decks Matt with one of the titles and Daniels gets a three count on Matt! Bully Ray makes his way out and proclaims that the match isn’t over with. He talks about being at every ROH show since Final Battle. Ray says that it feels like people can do whatever they want to do. Bully thinks ROH is lacking a little bit of honor. Ray says he has gotten off the phone with COO Joe Koff and Koff told Bully to do whatever he has to do to get some order in the company. Ray doesn’t want to be a boss nor does he want to be a general manager. He doesn’t want to be an authority figure. He will be an enforcer. Ray says SoCal Uncensored won’t be getting away with this. The match gets restarted. A solid episode this week for ROH as two of the three matches were solid enough matches. There wasn’t anything too major with angles. Bully Ray had already been revealed as an authority figure at Honor Reigns Supreme, so it wasn’t that big of a surprise or anything for me. 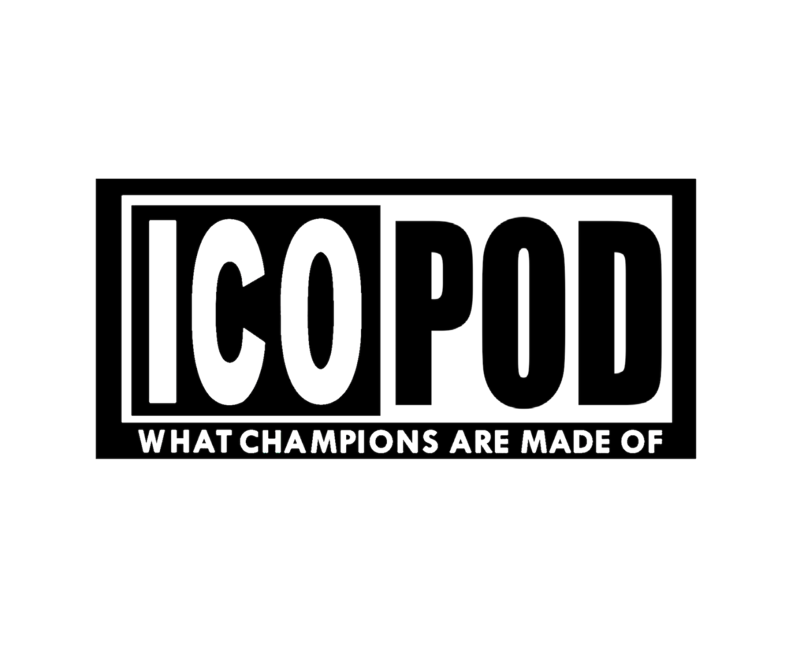 Check out a new podcast called ICOPOD, talking about WWF TV starting with the first RAW in 1993!